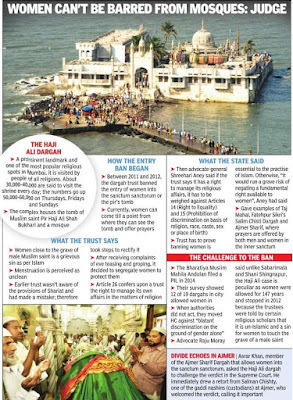 After a gap of nearly five years, women will be permitted entry into the inner sanctum of Haji Ali dargah in Mumbai, albeit through a separate entry , the dargah trust informed the Supreme Court on Monday . 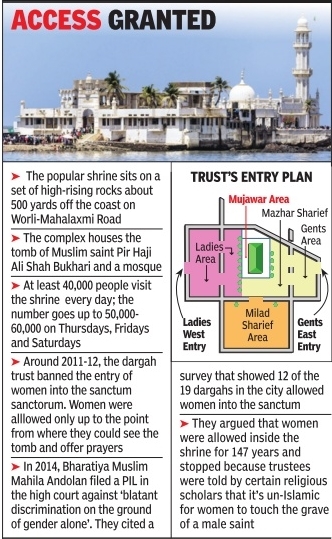 The dargah's decision is seen as an important marker for gender equality after a high court order led to a ban against women entering the sanctum sanctorum of Shani Shingnapur temple in Nashik being withdrawn. 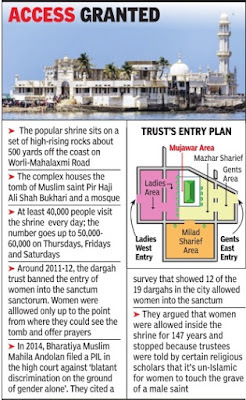 Protests have been lodged against restrictions at other religious places with regard to women on various grounds such as menstruation. 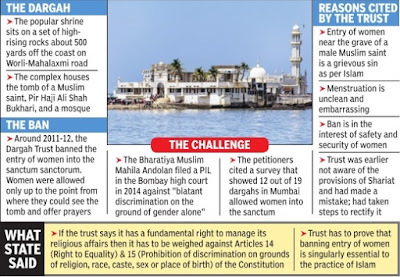 “It will take two more weeks to make necessary structural changes for separate entry and enclosure near the inner sanctum for women,“ the trust's counsel, senior advocate Gopal Subramaniam, said. A bench of Chief Justice T S Thakur and Justices D Y Chandrachud and L N Rao recorded Subramaniam's submission and disposed of the appeal filed by the trust challenging Bombay High Court's August 26 order allowing women to enter the dargah's sanctum sanctorum which houses the tomb of Iranian saint Pir Haji Ali Shah Bukhari. Though the trust acceded to the SC's request for taking a “progressive“ stand on the issue, submissions made by it could have a bearing on the petitions filed by Muslim women seeking equality for women and requesting the SC to ban unilateral divorce given by Muslim men through pronouncement of triple talaq. 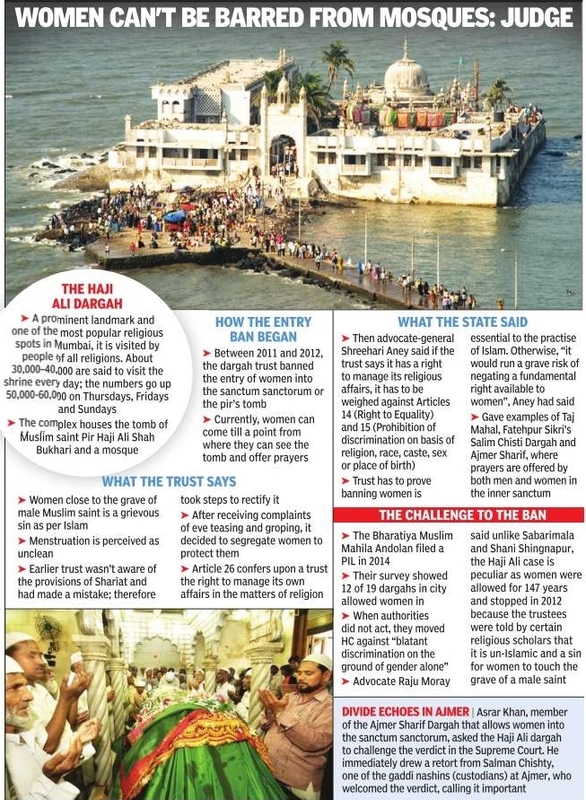 The women have questioned the claim that triple talaq has the sanction of religious law.